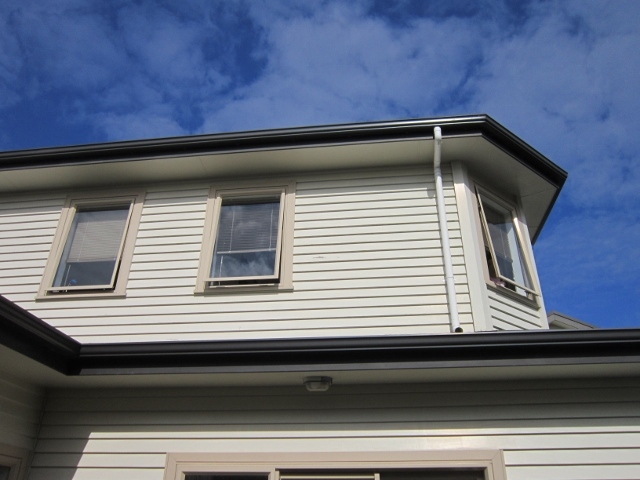 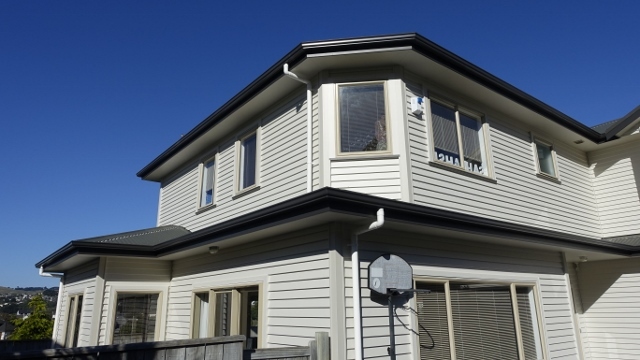 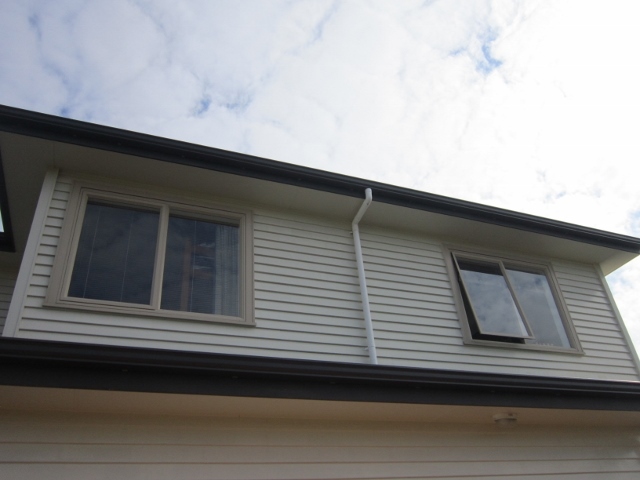 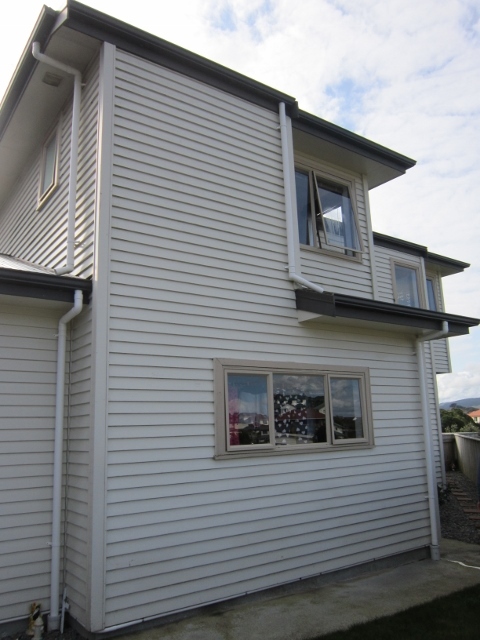 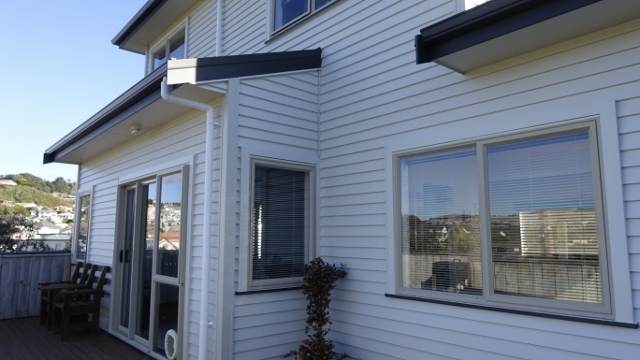 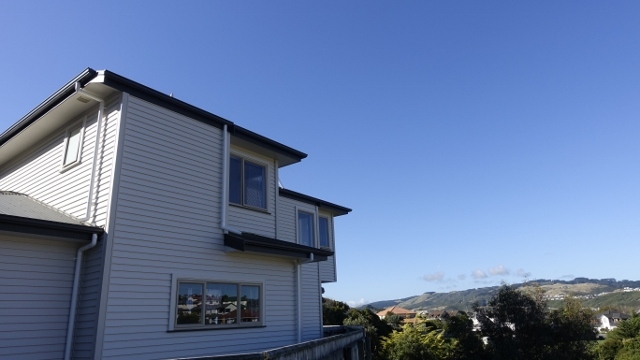 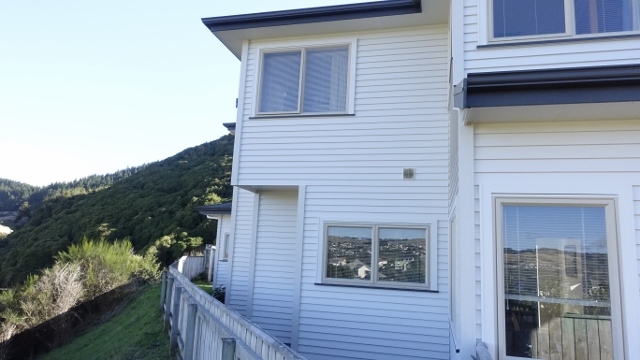 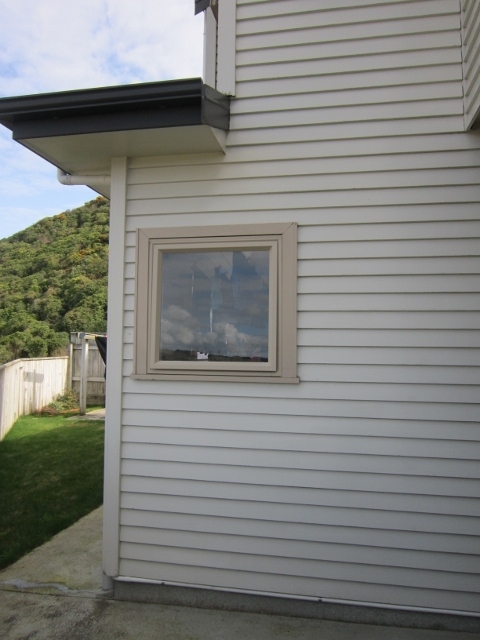 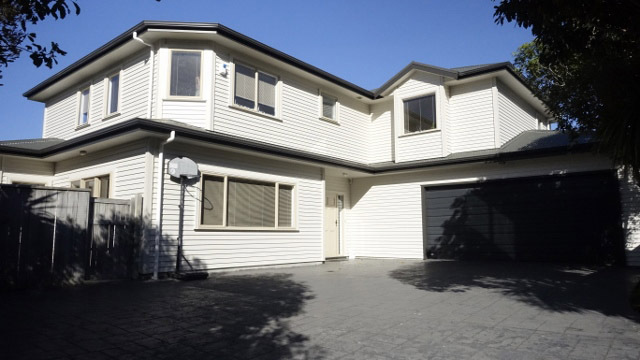 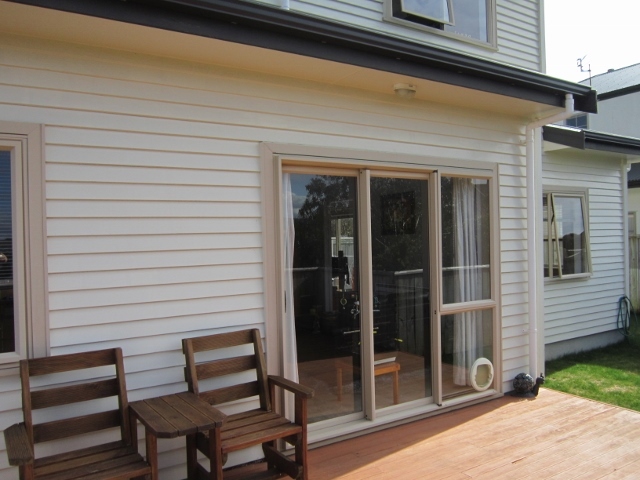 Weatherboard property with aluminium windows. 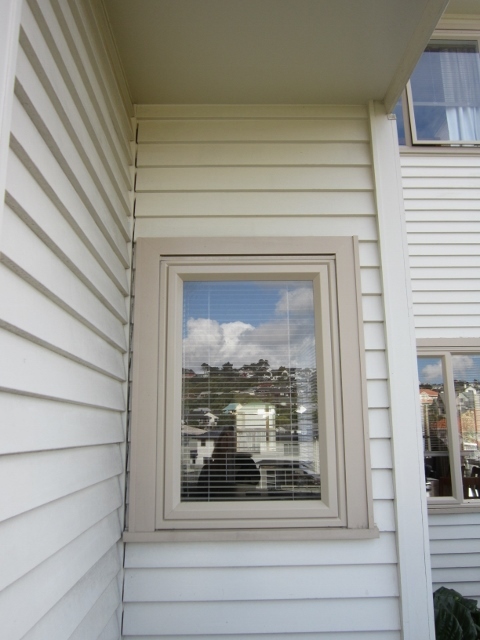 Paint system was in fair condition with some deterioration becoming evident on the northern sides of the property. 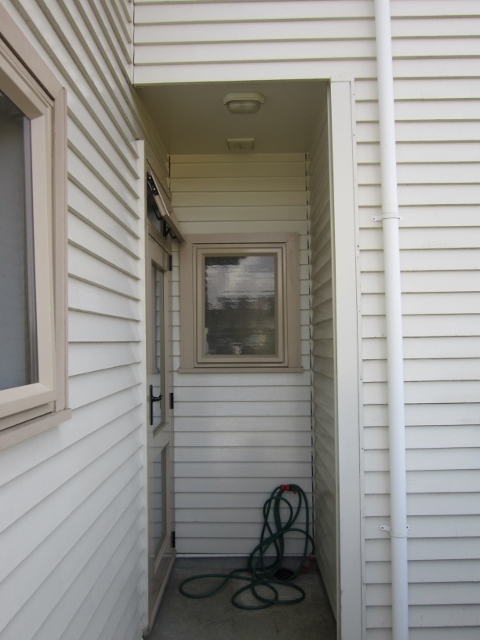 Some scribers were replaced by the owner. 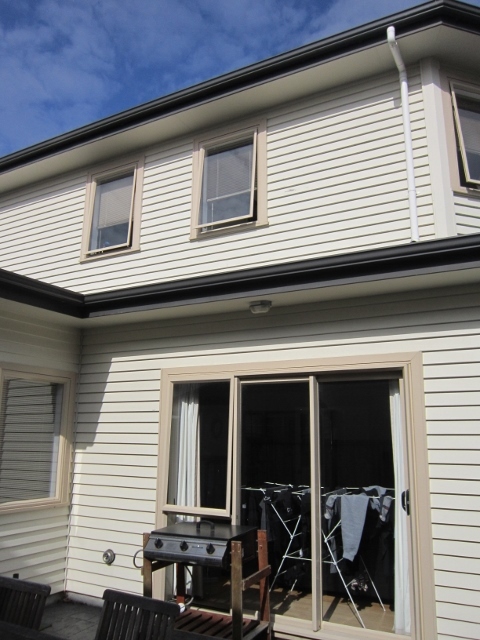 Property washed, sanded and necessary fillings made, spot primed with primer tinted to the existing colour. 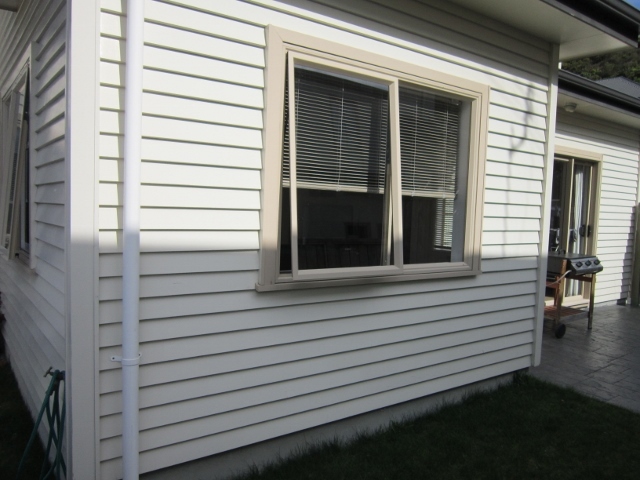 Recoated in two coats of Resene Lumbersider Half Tea. 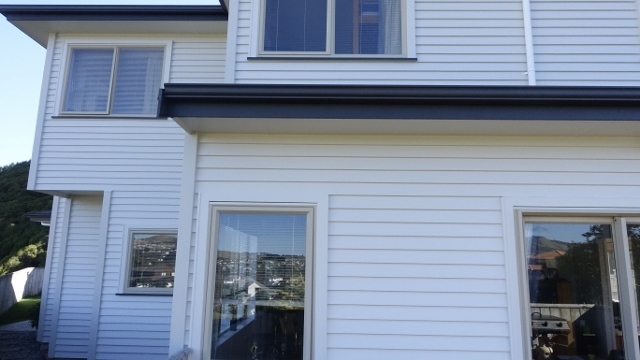 Lumbersider was used to minimise the graininess of the timber which would have been more obvious in a glossier paint.